THE ORANGE PAPERS One Man's Analysis of Alcoholics Anonymous by "Orange"
The man who would co-found Alcoholics Anonymous was born to a hard-drinking household in rural Vermont. When he was ten, his parents split up and Bill was raised by his maternal grandparents. He served in the Army in WW I, and although not seeing combat, Bill had more than ample opportunities to drink. 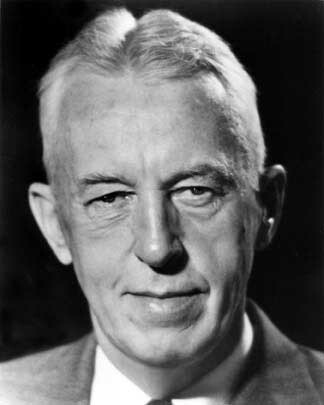 In the 1920's, Wilson achieved considerable success as an inside trader on Wall Street, but a combination of drunkenness and the stock market crash drained what was left of his fortune and his capability to enjoy life. Hard knocks, religious experience, and a growing sense that by helping other alcoholics he could best help himself led Bill to create one of the world's most famous introductions: "My name is Bill W., and I'm an alcoholic." Even as Alcoholics Anonymous slowly grew, many of Bill's financial and personal problems endured, most notably depression. Abram Hoffer writes: "I met Bill in New York in 1960. Humphry Osmond and I introduced him to the concept of megavitamin therapy. Bill was very curious about it and began to take niacin, 3,000 mg daily. Within a few weeks fatigue and depression which had plagued him for years were gone. He gave it to 30 of his close friends in AA. Of the thirty, 10 were free of anxiety, tension and depression in one month. Another 10 were well in two months. Bill then wrote "The Vitamin B3 Therapy." and thousands of copies of this extraordinary pamphlet were distributed. 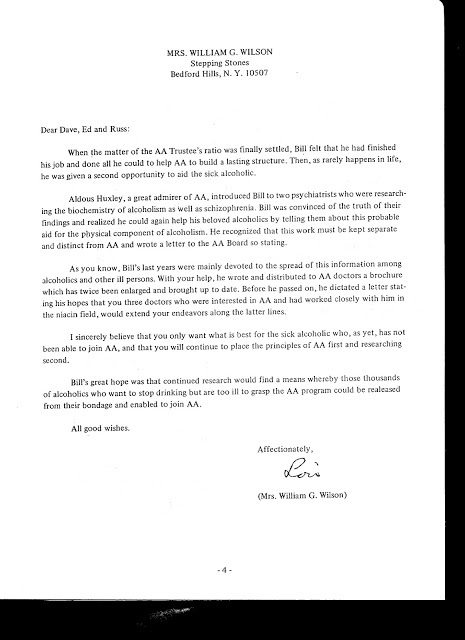 Bill became unpopular with the members of the board of AA International. The medical members, who had been appointed by Bill, "knew" vitamin B3 could not be therapeutic as Bill had found it to be. I found it very useful in treating patients who were both alcoholic and schizophrenic. —From Vitamin B3: Niacin and Its Amide, by A. Hoffer, M.D., Ph.D.; Wilson B: The vitamin B3 therapy: The first communication to AA's physicians (1967); A second communication to AA's physicians (1968).